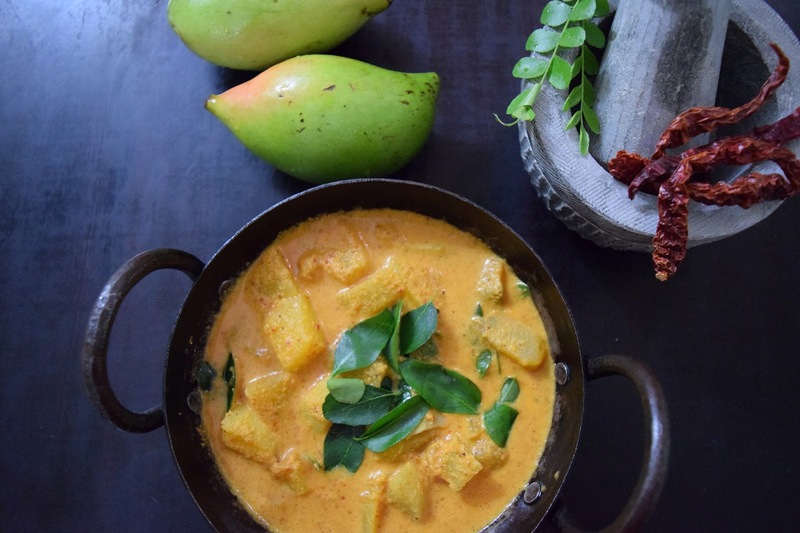 The mango season is here and we are all always looking for something new to do with mangoes. Here is a special recipe from the kitchens of udupi which is always a hit with my friends and colleagues. Kids will also love this sambar(gravy) because of the tangy and sweet taste. Fry sesame seeds without oil till it turns brown. Fry the black gram dal, red chillies, fenugreek seeds and coriander seeds with refined oil till good aroma comes and keep aside. Add coconut towards the end and fry for a few more minutes. Grind to a fine paste. Cut the mango into square pieces and boil in water with turmeric powder, tamarind and jaggery till it becomes soft. Add salt when it is 50% cooked. To this, add the prepared paste and bring to a boil. Fry curry leaves in coconut oil and add to the gravy. Serve hot with Kadubu idli or just plain rice. Grease the idli tumblers with ghee and add idli batter and steam for 10 to 15 minutes. Serve the idlis with the tangy mangalorean sambar. Note : You can also make Menaskai with pineapple, capsicum/bell peppers, bitter gourd/karela. You just need to adjust the tamarind and jaggery based on the vegetable/fruit you are using. 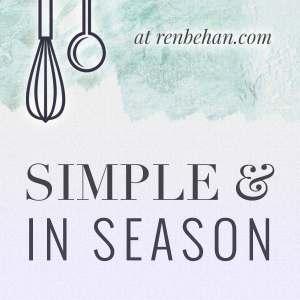 Sending this recipe to "Simple and in Season".